Truckmaker Tatra, along with other Czech companies, has decided the time is right to protect its export revenues from the prospect of a stronger crown from next year. Tatra’s hedging has been prompted by a shift in forward prices as investors bet the crown EURCZK= will gain when the Czech National Bank (CNB) frees it from a currency peg imposed during 2013 to fight deflation. 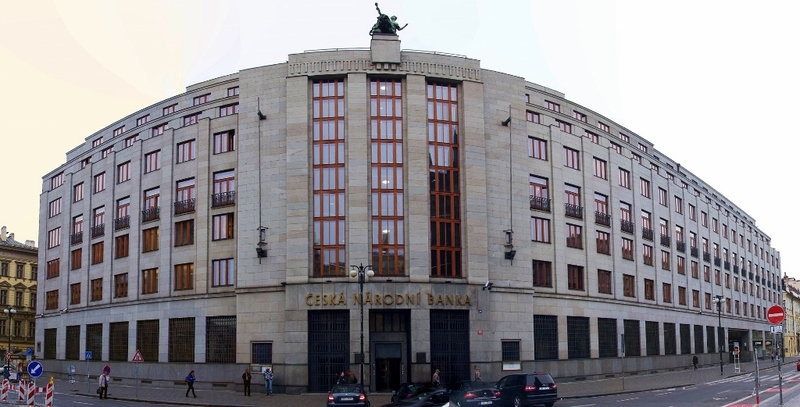 The central bank is guiding the market towards a mid-2017 exit, as Czech growth nears 3 percent and inflation is forecast to return to a 2 percent target next year. The cap has provided companies with a free exchange rate hedge and, according to the Exporters Association, earned them 580 billion crowns ($22.81 billion) in extra revenue. But analysts and companies expect the removal of the peg, which knocked the crown by as much as 7 percent when it was set, will cause the currency to jump, hitting firms in an economy where exports are equal to 85 percent of gross domestic product. “We are looking to hedge mainly in 2018 and 2019. I started with 2018 and now I would like to catch some forwards for 2019,” Tatra’s Chief Financial Officer Radek Strouhal said. Hedging is just one way exporters are readying for the new era. Many are looking for procurement contracts in euros, leaving them to worry only about paying wages in crowns. Others are taking loans in euros to benefit from a rise in the crown. Tatra has done both, Strouhal said, and started hedging due to the shift in forward prices, initially covering about 300,000 euros per month in contracts, a fifth of what it needs. Foreign exchange trading desks say hedging activity has risen since October, with the drop in the rate companies can hedge at a “wake-up call” for some. Six of seven dealing desks contacted by Reuters said hedging interest was rising, although no data is available. Activity should also grow more in the first quarter as the central bank has pledged not to remove the cap before then. Most firms stopped hedging when the crown firmed to 27 against the euro at the end of 2015. Exports hedged for a year fell to 25 percent in the second and third quarters, a CNB survey showed, from close to 40 percent previously. The trend is turning, leaving scope for a significant pick-up as exporters’ annual revenue is about 120 billion euros. That could add to rising speculative crown flow that has led the central bank to buy billions of euros a month from spot markets. Foreign reserves have grown to $85.9 billion, or 45 percent of GDP, from 21 percent in 2012, and are bigger than Canada’s reserves of $83.1 billion. Most analysts expect the regime will be over by the end of 2017, even with the risk an extension of the European Central Bank’s bond-buying delaying the exit. There is uncertainty, though, over how much and how quickly the crown will gain. A Reuters FX poll on Dec. 1 saw the crown at 26.27 versus the euro in one year. The Exporters Association sees the crown returning to pre-intervention levels, of 25.50-25.80 per euro. If investors pile into the crown now, the initial jump may not be big. But analysts see the currency as undervalued by about 5-10 percent given economic growth and trade surpluses. To be ready, a fifth of companies now use supplier or customer contracts in euros, up from 14 percent three years ago, a CNB and Industry Confederation survey showed. Karel Havlicek, head of Sindat group and chairman of the small- and medium-sized business association AMSP, said firms must prepare at least six months before the cap exit. Sindat, a group of bio- and nanotechnology firms with sales of 20 million euros, naturally hedges four-fifths of revenue through its contracts. On markets, it is hedging about 2.5 million euros to be ready for a cap exit it expects in mid-2017. “Natural hedging is the best solution,” Havlicek said. A quarter of company loans are now in euros, versus 20 percent a year ago, CNB data shows, with DEK, an importer and building materials distributor, one example of a firm financing investments in the European currency. “It is a good long-run bet,” finance director, Jan Bolek, said.